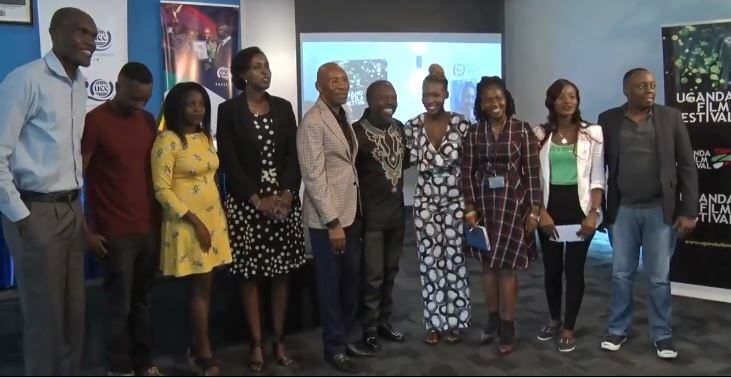 BUGOLOBI – Uganda Communications Commission (UCC) Executive director, Mr Godfrey Mutabaazi has Thursday flagged off Uganda’s nominees to the Africa Magic Viewers Choice Awards (AMVCA) underway in capital Lagos, Nigeria. Mr Mutabazi dispatched a team of 12 nominees at the commission’s headquarters in Bugolobi. He said that the country has started to appreciate the fruits of the initiative that started in 2013. “This [film] industry is the best industry in the world. There is no way we can make the film industry die,” he said revealing that UCC will in create a fund in Uganda that can help the film industry grow as it has already promoted the national identity. Key among the nominees are singer and actress Cindy Sanyu for her role in ‘Bella the Movie’ in the Category of Best Actress in a Drama and Eleanor Nabwiso who was nominated in the Category of Best Movie East Africa for their role in their movie, ‘Rain’. Others nominated include Samuel Kizito Saviour, Joan Agaba, Rushabiro Raymond, Richard Mulindwa and Andrew Ahuura among others. The nominees also received USD200 -about Shs750,570 – each from UCC as a token for their outstanding performance. “Nigerians are proud of their film industry and it has done it for them without oil. Production and creative industry is the industry driving the world now; it has transformed all developed economies for-example Nigeria,” UCC director said. Mutabazi also launched the 2018 Uganda Film Festival initiative, a platform which the commission has used to promote the film sector. “I welcome all of you to this wonderful occasion when we are launching the sixth edition of the Uganda Film Festival. The Commission started this initiative in 2013 to jump-start the hitherto ailing Ugandan Film Industry,” Mutabazi said. He added that Uganda is creating an identity as a nation through the fill and most youths will be self-employed in once industry transpires. Julianne Mweheire, UCC’s Director Industry Affairs and Content commended the broadcast media to embrace the initiative through promoting local content. 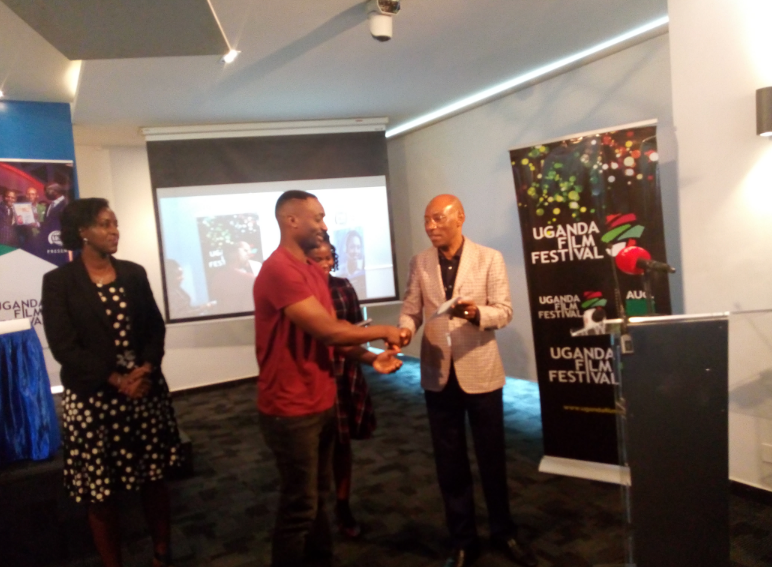 “Uganda Film Festival seeks to promote local content, increase national identity and tourism, as well as promote business linkages,” Mweheire said adding that the Festival has since its inception enabled about 500 filmmakers to attain training in sound, lighting, marketing and distribution of films. A number of Ugandan films have also been showcased at major film festivals in France, Germany among others. “Let’s endeavour to promote Uganda as an ideal film industry destination, this platform provides an opportunity to display their local content and to create business linkages. Pay TV has embraced local content and I, therefore, I commend media houses for prioritizing film UCC will continue to support the film industry,” she said.